Happy post July 4th everyone! Enjoy your veggies for this week. As usual, all need to be stored airtight in the fridge. 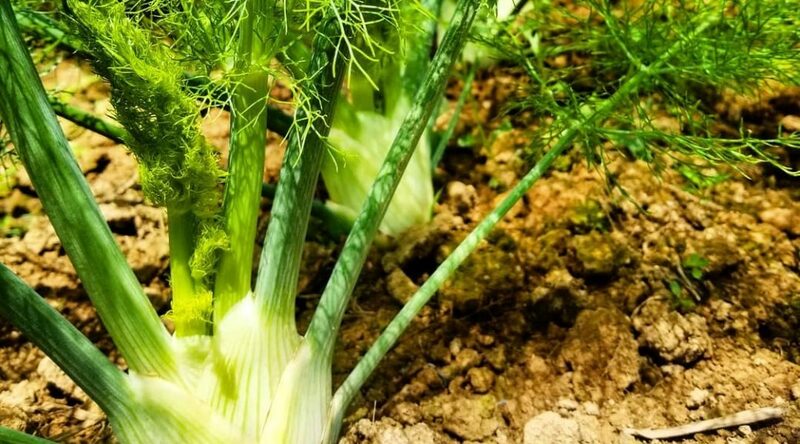 Fennel – If you’re not already hooked on fennel, this could be your year! Find a new recipe, and try it cooked for a more mild flavor. Use within 5 days. Zucchini – Always delicious simply prepared by steaming until tender and serving with butter and salt & pepper. Use within 5 days. Cucumbers – A first harvest of this crop! Crispy, juicy and sweet. Use within 5 days. Red Kale – We are loving icy kale smoothies in this heat! Use within 5 days. Green Romaine Lettuce – Have you ever tried grilling lettuce? This hearty Romaine is perfect for it. Use within 5 days. Radicchio – This is an Italian leaf chicory that is packed full of vitamins and nutrients. It has a bitter and spicy taste, which mellows when it’s grilled or roasted. Use within 5 days. Red Beets – Cook up the greens like spinach. The beet roots are great raw if you grate them finely. Store the roots and leaves separately. Use within 5 days.